Limbs 4 Kids | Wheelchair Basketball, an inclusive sport for Brian and everyone! Brian Carminati, who lives in Melbourne, was born with a congenital condition known as Proximal Femoral Focal Deficiency (PFFD). It is a rare non-hereditary condition that affected the formation of his hip bone and consequently left him with just a femur. The condition can affect both sides so he considers himself lucky that it has only affected his right side. Brian started wearing a stiff prosthetic leg from age 3 until 5 years, after which he then underwent an operation to amputate the toes at the end shortened leg. This meant that Brian now had an above-knee amputation which allowed him to wear a prosthetic leg with a moveable knee joint. Brian played wheelchair basketball for about six months at age 16, while he was in Year 11 at school. After playing for one season Brian stopped primarily because he needed to concentrate on his Year 12 studies. Brian’s mum wanted him to focus on his academic studies and was not aware of the opportunities to participate in sport, let alone wheelchair sports. When Brian started attending Caulfield Hospital his doctor told him about wheelchair basketball and the benefits he could derive from it. Coincidentally, on that day he was attending hospital, Brian happened to meet Billy Ferguson, a well-known wheelchair basketball player at the time. Billy suggested that Brian visit Knox Basketball Stadium to watch a local competition, a visit which allowed him to meet wheelchair basketball players Paul Laidlaw and Campbell Message; both of who helped Brian to play. In 2014, shortly after graduating from secondary school, Brian decided to start playing wheelchair basketball again. Initially Brian started taking to the court at a local competition before starting to get really serious about his new sport. Brian attended one of Basketball Victoria’s wheelchair basketball clinics at Boronia and came under the watchful eye of Tom Kyle, the coach of The Gliders (Australian Women’s Wheelchair Basketball team). Tom encouraged Brian to work harder as he saw that Brian had the potential to become a national league player. Brian began wheelchair basketball training about once a week, and as a new player, tired very easily after only a short amount of hard pushing. From October 2014 Brian began to dedicate himself to serious training, which saw exponential improvements on and off the court as a player. In December 2014 Brian attended the Basketball Victoria Wheelchair Basketball Tournament in Shepparton. While there Brian was encouraged by everyone in attendance including Brad Ness, captain of The Rollers (the Australian Men’s Wheelchair Basketball team). Brian’s persistence didn’t go unnoticed and he was asked to train with The Rollers one morning per week at the Melbourne Sports and Aquatic Centre (MSAC), and regularly training at an elite level began to pay dividends for Brian. Brian now trains five times per week; including with The Gliders, The Rollers and other additional morning sessions with a group of state and national league players. 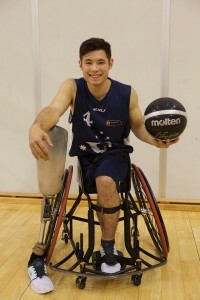 Brian admits that he used to live a sedentary life before Year 12 but since he began playing wheelchair basketball and training with the national teams, he has lost weight, become a fitness addict, maintained a healthy diet and strengthened his body and overall fitness. 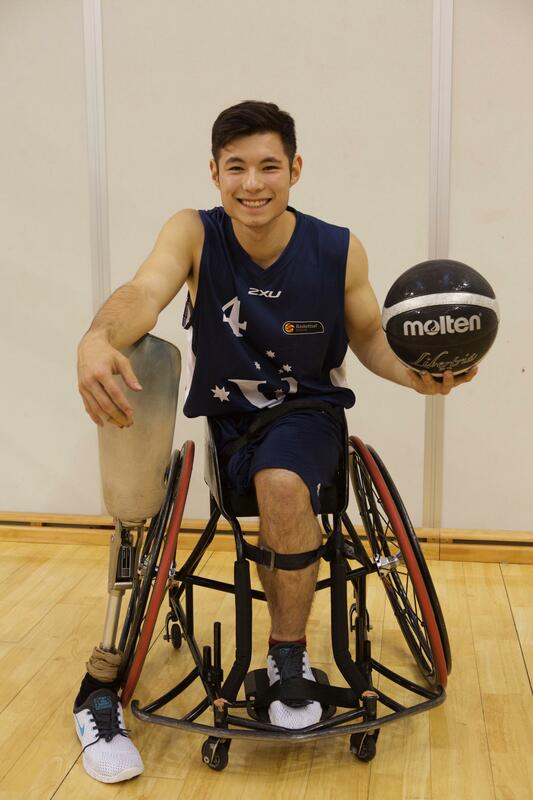 Brian was invited to represent Victoria in the Kevin Coombs Cup National Championships (Wheelchair Basketball Championships for males under 23 years of age and females under 25 years of age) and played a role in helping Victoria achieve the bronze medal. Brian feels very honoured to be a part of Basketball Victoria. “Ever since transforming my own life, going from an overweight sedentary video gamer to an emerging athlete, it has given me a whole meaning to life and now it’s starting to inspire other people around me to change their lives. As much as my own transformations make me happy, I feel extremely happy when it’s also transforming and inspiring other people’s lives. Hopefully in the future with greater achievements to come, I can still be an inspiration to others. Being on Basketball Victoria’s posters and videos definitely helps give me the opportunity to inspire others,” enthused Brian. Brian has certainly left an impact on others. Tom Kyle, the Head Coach of the Australian Gliders team, has much to say about how Brian has progressed over the years and what a talented, dedicated and kind young man he is. “I first met Brian at a come and try event at Knox some two years ago. He was a very shy and timid young man and I think hadn’t had much time in a wheelchair let alone playing a contact sport like wheelchair basketball. I hadn’t seen Brian for over two years since that time until the Kevin Coombs Cup in 2015. To say he had transformed would be an understatement. Brian had developed into an outstanding young athlete; strong, determined, aggressive but still showing incredible sportsmanship. He dominated at the Cup and led his team in rebounding and shooting. From this, Brian was, quiet rightly, selected to represent his country in the Australian Development team in Dubai. Again Brian was a force for his team showing all the attributes of a future Roller. The thing that strikes me most with Brian is that although he has turned into an extremely tough competitor who comes to compete each and every game, he remains the same quiet unassuming young man off the court. Very respectful and appreciative for any assistance he receives. He is a real credit to his family, friends, state and country. I trust Brian will continue to grow and, I believe, he will be an outstanding Roller of the future”. Wheelchair Basketball is certainly a sport for all. It is one of the most inclusive sports in the world, allowing people of all ages and abilities to participate at both a grassroots level, just for fun, all the way up to National and International competition. If you are interested in trying wheelchair basketball contact Basketball Victoria on (03) 9837 8000 or visit www.basketballvictoria.com.au for more information. If you live outside of Victoria you are also welcome to call the team who can assist you to find a local team in your state or territory. Limbs 4 Life is extremely grateful to Basketball Victoria for sharing Brian’s story and promoting the fun and inclusive sport of wheelchair basketball. For more information about wheelchair basketball contact Basketball Victoria.